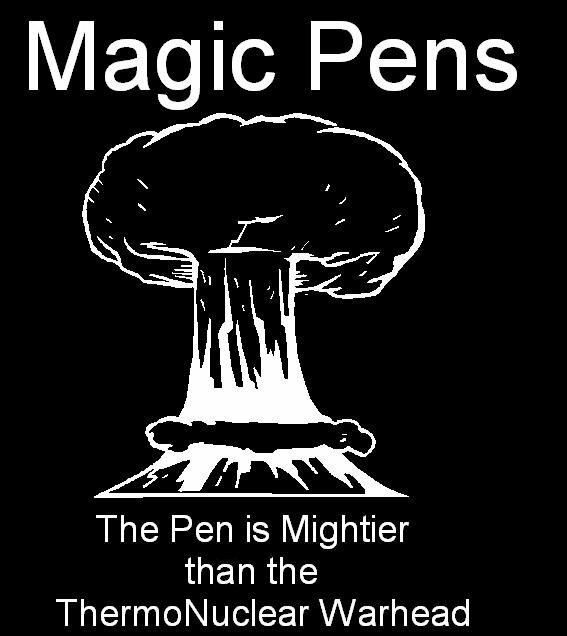 This week from December 10 to December 16, 2006 I have written approximately 3,860 words on Magic Pens and 2,030 off. This comes up to be a total of 5,890 words. I plan on reading Eragon soon since a couple of people (not in Magic Pens,) have told me that my main story, The Horse From the Woods, is just like it. I watched the movie and it wasn’t anything like my story, so I hope the book is the same. If you have read Eragon, please read my story and see what you think. People are telling me that it is just the prologue. In the very olden time there lived a semi-barbaric king, whose ideas, though somewhat polished and sharpened by the progressiveness of distant Latin neighbors, were still large, florid, and untrammeled, as became the half of him which was barbaric. He was a man of exuberant fancy, and, withal, of an authority so irresistible that, at his will, he turned his varied fancies into facts. He was greatly given to self-communing, and, when he and himself agreed upon anything, the thing was done. When every member of his domestic and political systems moved smoothly in its appointed course, his nature was bland and genial; but, whenever there was a little hitch, and some of his orbs got out of their orbits, he was blander and more genial still, for nothing pleased him so much as to make the crooked straight and crush down uneven places. Among the borrowed notions by which his barbarism had become semified was that of the public arena, in which, by exhibitions of manly and beastly valor, the minds of his subjects were refined and cultured. But even here the exuberant and barbaric fancy asserted itself. The arena of the king was built, not to give the people an opportunity of hearing the rhapsodies of dying gladiators, nor to enable them to view the inevitable conclusion of a conflict between religious opinions and hungry jaws, but for purposes far better adapted to widen and develop the mental energies of the people. This vast amphitheater, with its encircling galleries, its mysterious vaults, and its unseen passages, was an agent of poetic justice, in which crime was punished, or virtue rewarded, by the decrees of an impartial and incorruptible chance. We held a vote at our meeting and have chosen a white hoodie. If 30 or more of us buy one, the price will be cheaper, so pre-pay for yours before Winter Break! Matt’s ThermoNuclear Warhead idea will be located on the front in a pocket size, and my outline for the scroll and dragon idea will be located on the back in a large size. Since many people have complained about my idea’s clutter, I’ve created some different variations. One variation has the items displayed around the sides of the scroll along with the top to reduce the clutter, and the other has the objects a little behind the scroll. The first picture is just a touch-up of the original. Please tell me what you think of them! Natalie’s breaths came in gasps as she ran with all her strength, past the first trees of the forest. Ignoring the branches that scratched at her face, she continued with cuts along her cheeks and arms. Blood slowly crept from her small wounds, yet she was determined to find her horse. She had to find Duchess, before the dragons did. Unaware of her surroundings as she ran blinded by shear determination, she found herself falling as her foot was caught on an ugly, moss-covered log. She sprawled over the small log before her, and hit her head on a flat stone. Her world began to spin and fade just before it all went black. I think that I would make an excellent choice for a Magic Pens officer as I’m on Magic Pens every day and have attended every meeting so far. I will continue to write a review of every meeting I attend for those who did not attend. With a Blogline account set up, I’m aware the second that a new post is put out which would help me read posts as soon as possible. I check everybody’s blogs everyday and I try to read as many of everybody’s stories that I can. Everytime I read a story, I also comment on it giving tips, errors I’ve found, and my favorites, etc. As a writer on Magic Pens, I try to keep up with our goals and I write almost every day. I’ve posted many posts, and I try to post at least two to three every week. I’ve drawn many different T-Shirt design ideas, and have looked at all of the other ideas for our hoodies. I’ve recruited a new member, and I speak with members that have not posted for a while, in person, to remind them that their blog still exists. I’ll also help people change the appearance of their blogs.